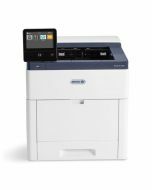 The VersaLink C505 Colour Multifunction Printer is designed for fast-paced workteams to reliably deliver a high level of performance. 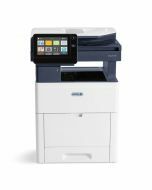 Cloud-connected, mobile-ready, app-enabled, and easy to customize, the C505 all-in-one printer is your modern workplace assistant. Easy installation wizards and step-by-step configuration options ensure you’re ready to go, hassle-free, without the need for IT. Customizable, capacitive, 7-inch colour touchscreen lets you tap, swipe and pinch your way through tasks and functions with mobile-like ease. With Simple ID, individual users and groups enter a user ID and password once, and then enjoy fast, secure, easy access to task-specific presets and commonly used apps on a personalized home screen.